A business process is a collection of activities or tasks that produce a specific service or product or serve a particular goal for a particular customer or customers. Business process systems are essential to businesses in order to make sure all processes are done correctly. 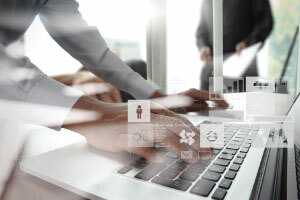 By studying the Alison Learning Path in Business Process Systems you will learn what business processes are, how they work and how they are documented. You will also learn about systems analysis and design. 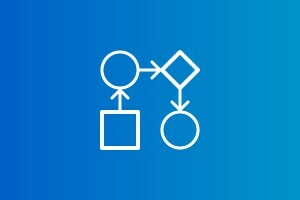 The Alison Learning Path in Business Process Systems is a series of courses that will help you increase your understanding of different business process systems. This course will give you a full and clear run through of business intelligence and knowledge management systems, explaining both in a step-by-step manner. The course starts with business intelligence. You will first learn about the theories and methodologies of business intelligence which allow a company to handle large amounts of data and information. You will then be shown how these theories and methodologies can be used in a practical way to assist managers with decision-making. Next, the course will teach you everything you need to know about knowledge management systems. You will be shown the processes these systems use to capture, store, retrieve and distribute the knowledge of individuals in a business for use by others in the business. The course will then show you precisely how these systems improve the quality and efficiency of decision-making across the firm. Finally, you will be given a clear overview of the three main steps involved in the official process of decision-making. By the end of the course, you will have a strong understanding of the most important business intelligence theories and knowledge management systems used to assist decision-makers today. 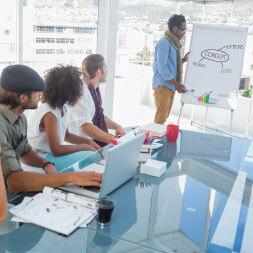 If you are an aspiring manager, executive, entrepreneur, or business professional, these skills are essential for bringing your company, and your career, to a truly professional level. This course will lay out everything you need to know in just 3 hours, so by the end of the week you’ll have received an excellent boost for your professional development. 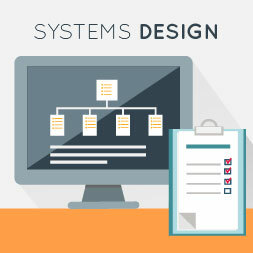 Systems design is a set of procedures performed to convert the logical specification into a design that can be implemented on the organization’s computer system. Systems implementation is a set of procedures performed to complete the design contained in the approved systems design document and to test, install, and begin to use the new or revised Information System. 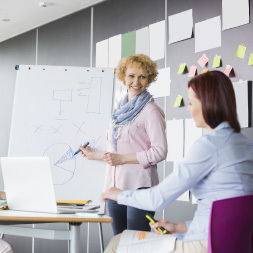 This course in Systems Design and Implementation enables the learner to study the fundamental process of systems design and implementation and the intermediate steps involved. The course will be of interest to business professionals who would like to gain a basic knowledge and understanding of the fundamentals of systems design and implementation. Successfully complete all of these courses to receive a Business Process Systems Learning Path Award.